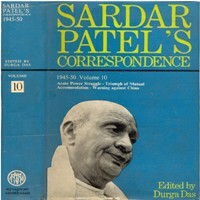 Each Volume is exhaustive and deals with aspects including accession of Jammu & Kashmir to India, Elections to Central & Provincial Legislatures, Transfer of Power—Communal Holocaust on Partition, Patel-Nehru Differences, Assassination of Gandhi, Foreign Policy in Evolution, and Acute Power Struggle. The correspondence offers an unrivalled source of material. To the politician and the reader, it provides light on the main actors on the Indian stage and their response to the challenges of the times. The ten volumes edited by Durga Das are, indeed, a historical treasure.